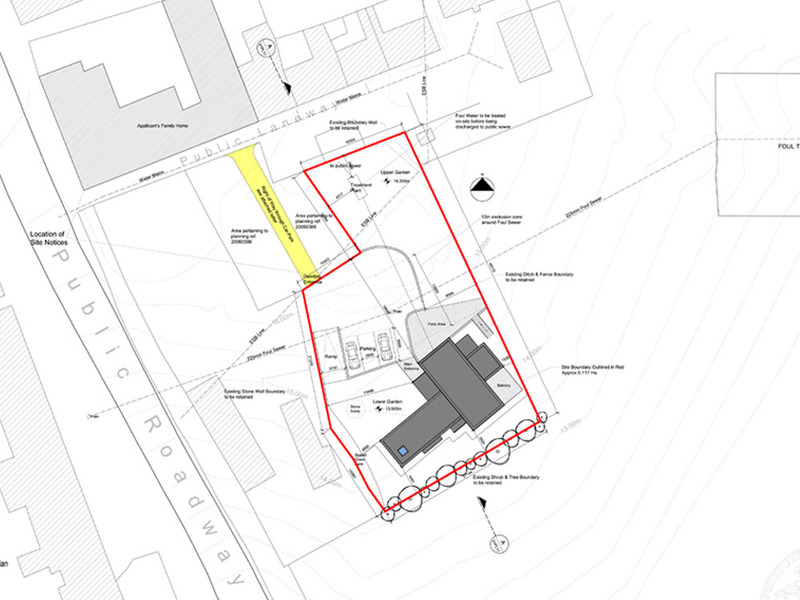 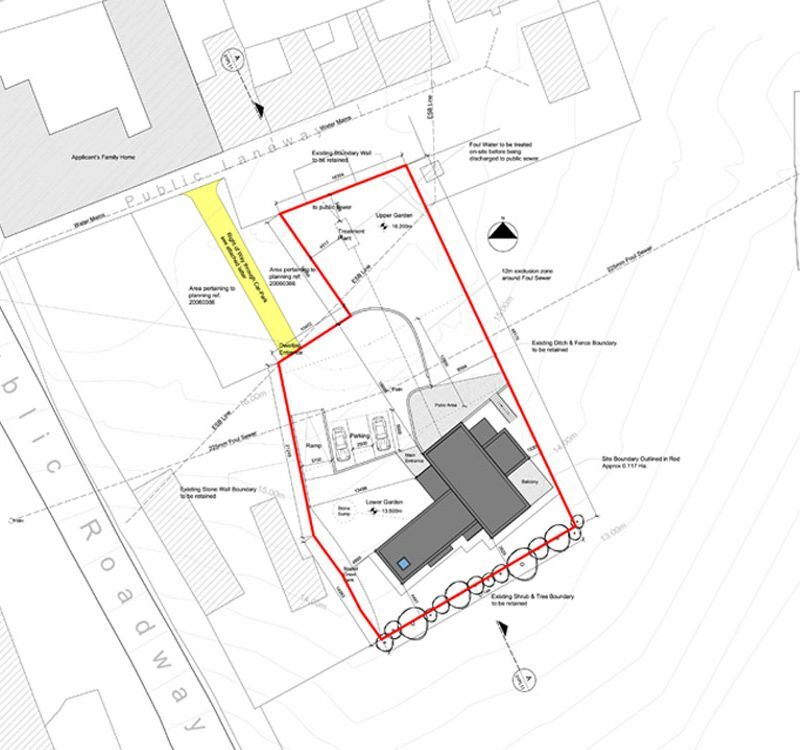 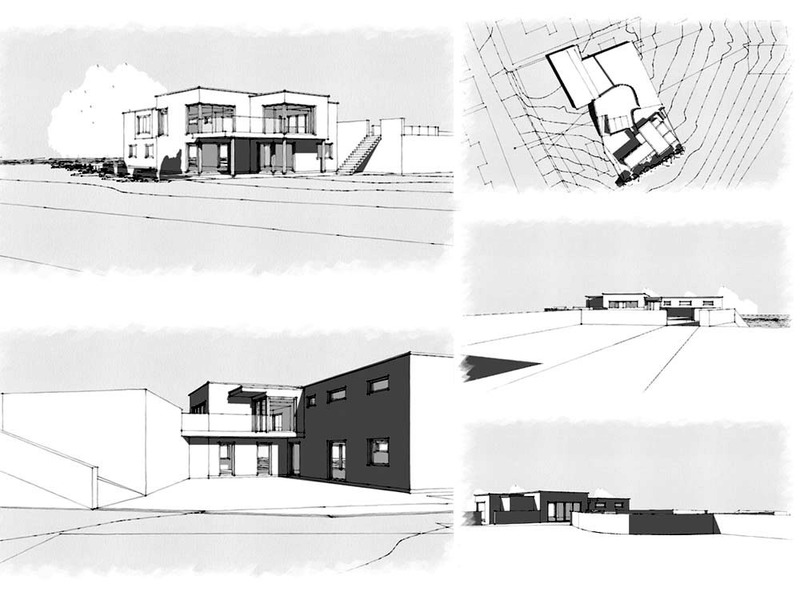 The site for this project has a number of interesting aspects most notable the fantastic views out to sea to the east and the site is located on a south facing slope. 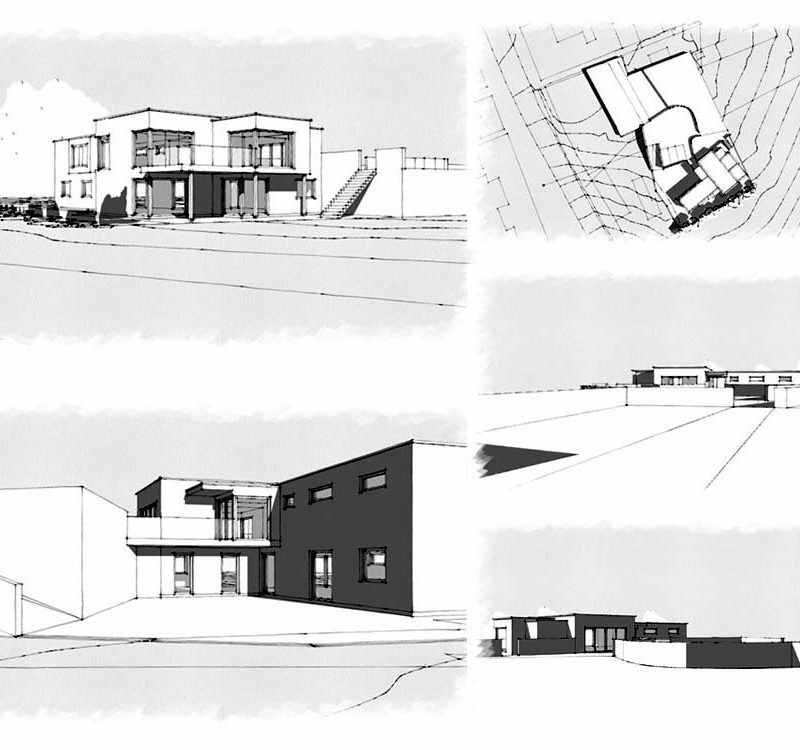 The clients were keen to maximise these two aspects for the design of the dwelling together with creating a highly energy efficient family dwelling. 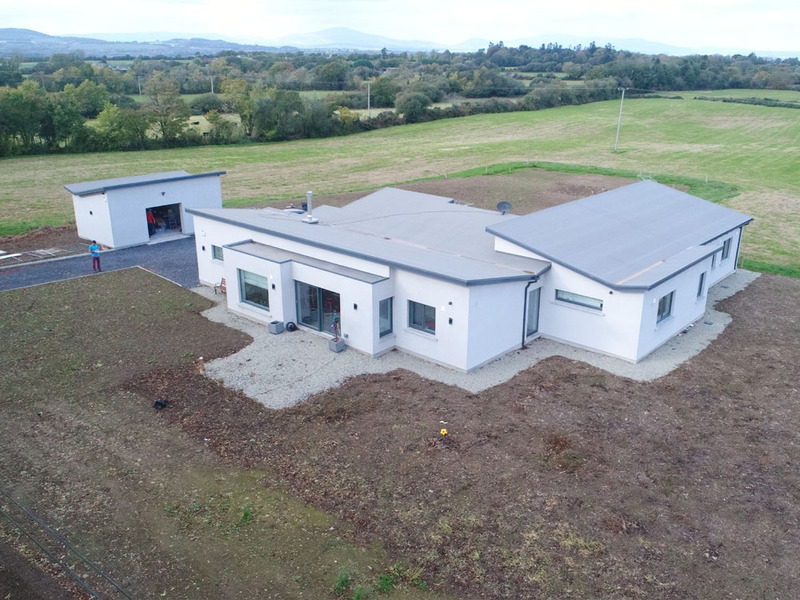 The house is designed with the living areas on the first floor & the bedrooms on the ground floor. 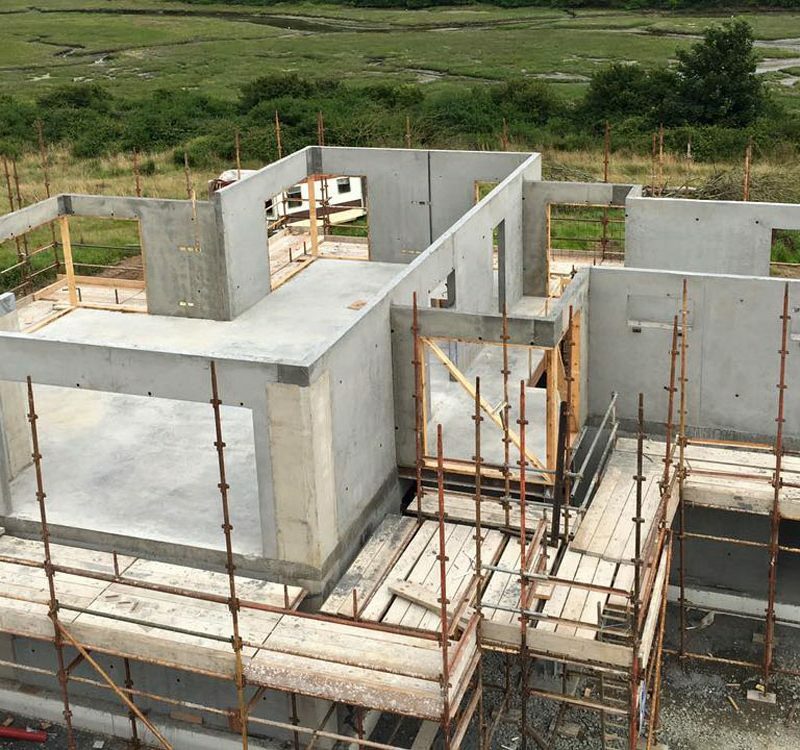 The house is entered on to first floor from the back of the site. 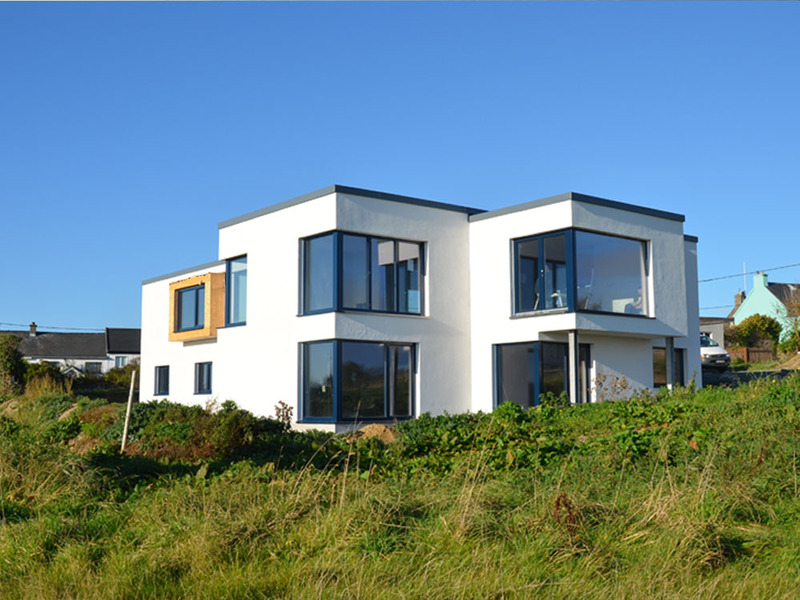 The living areas have large expanses of glazing which open out on to a terrace to take in the views to the sea. 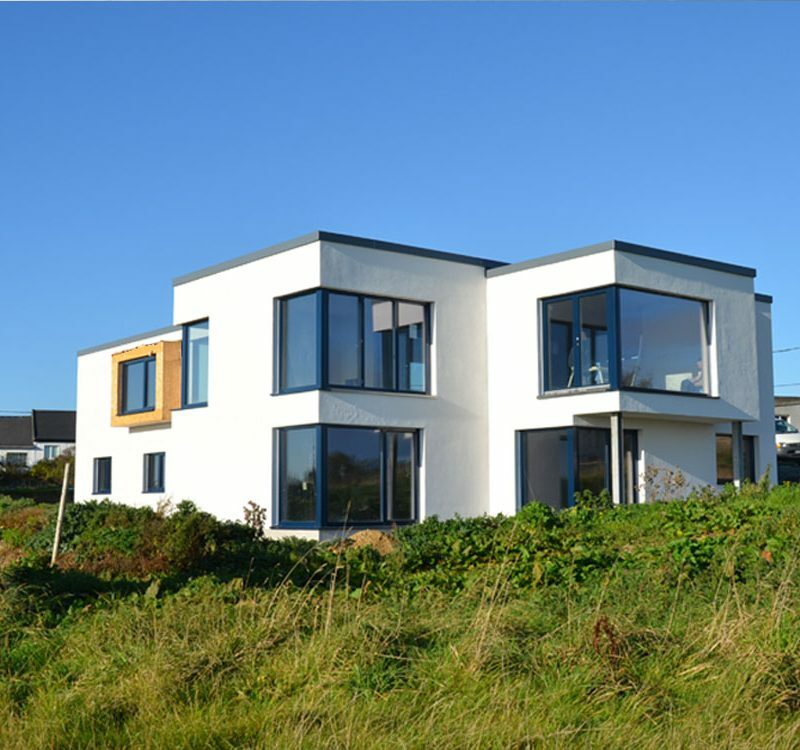 The dwelling has a very contemporary feel with it’s flat roof, white walls & large glazing with blue frames. 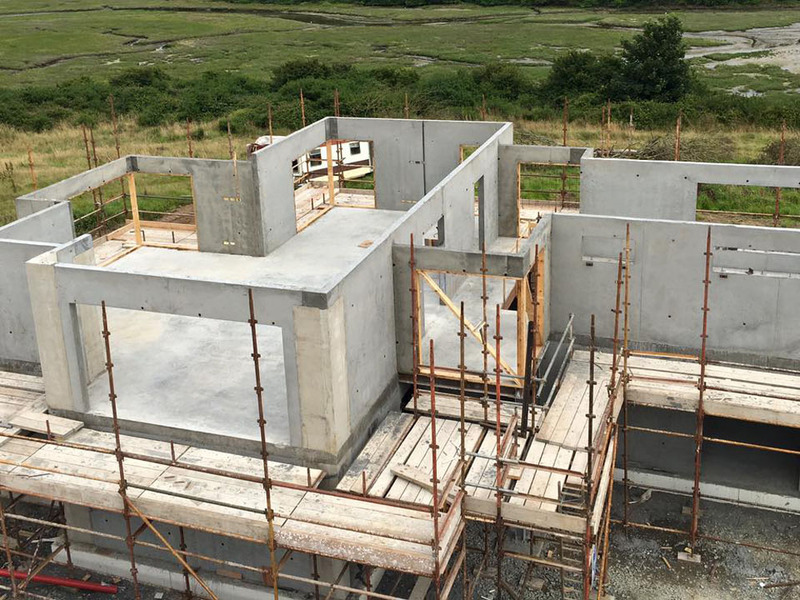 The house was constructed using a passive floor slab system to eliminate cold bridges. 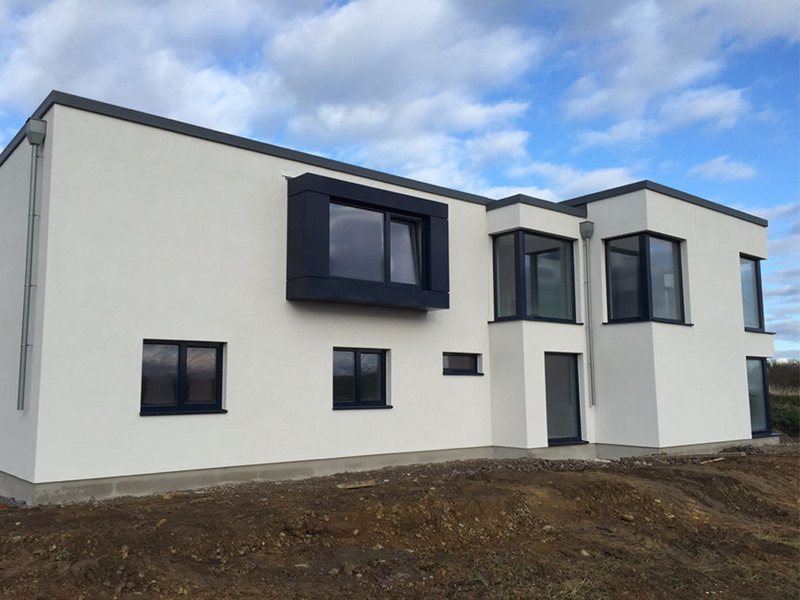 The externally insulated concrete walls were shuttered on site giving the dwelling a fantastic thermal mass. 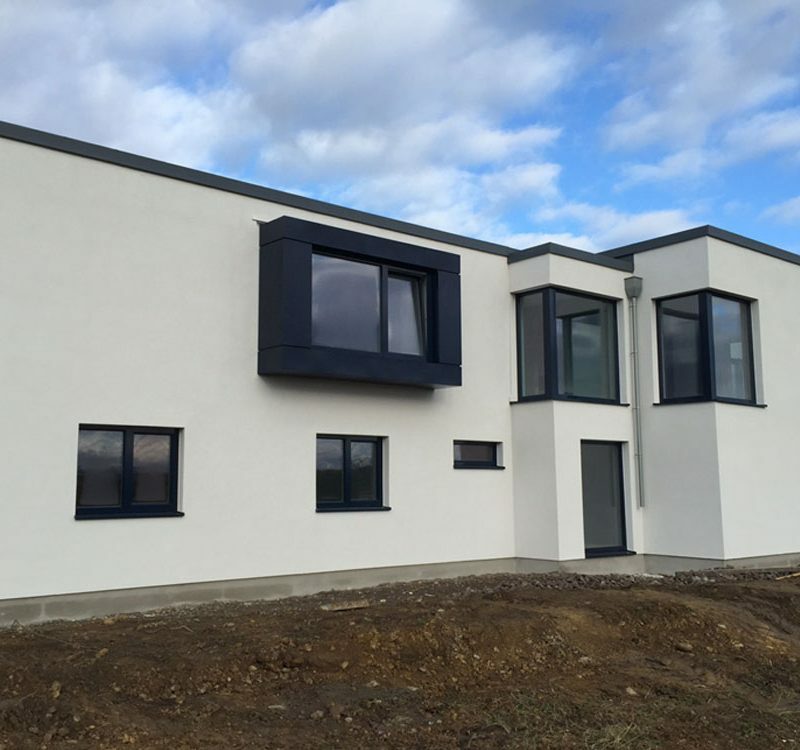 The house is heated using an air to water heat pump with heat recovery ventilation also being employed to give a highly efficient building with very low running costs.